Can Earthly life populate space? Although this has been an old thought, a new study reveals that such suggestion is possible. Scientists from Kyoto Sangyo University in Japan have submitted to arXiv a paper that contains their latest calculations about the idea being possible. 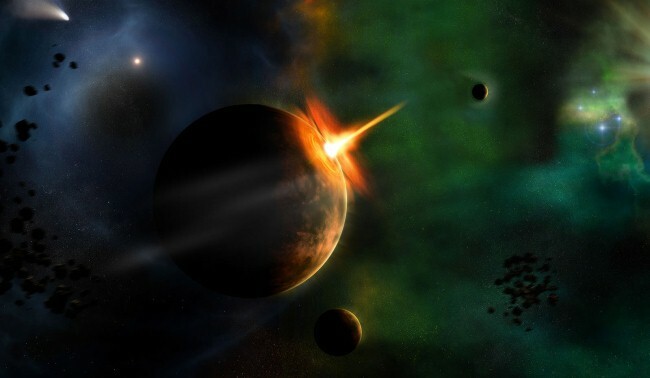 The probability is studied given the condition that meteorites originating on Earth can transfer forms of life to other planets that can nurture life, like Enceladus and Europa, the moons of Saturn and Jupiter, respectively. This scenario was somehow based from the idea that basic forms of life may have entered Earth through a comet or meteorite. “The only planet which we know has life is Earth. Therefore, Earth would be a likely source to seed other planets with life,” says Tetsuya Hara of KSU.